Today, I have a post which I think will be incredibly helpful for everyone, and especially for those who shop online. One of the biggest caveats of online shopping is the threat of forgery. 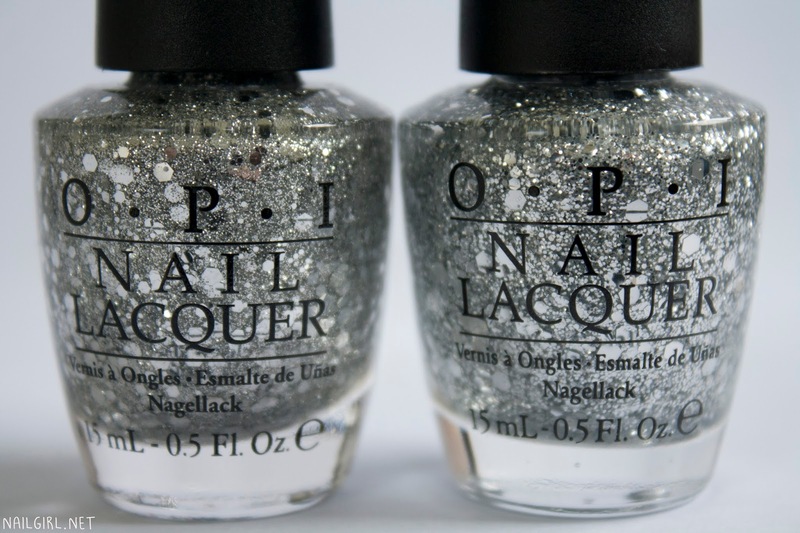 Many famous brands have fallen victim to counterfeiting, and OPI is no exception. Before I get started - can any of you tell just from this photo which OPI Crown Me Already! is real and which is fake? If you guessed real on the left and fake on the right, 10 points for you! Going through this post, I'll explain which features are key to look at to tell if your new OPI from eBay or TradeMe is a fake. I purchased a bottle of Crown Me Already! from TradeMe (NZ's version of eBay) and I noticed it looked kind of weird when it arrived. Everything just seemed off about it, but it wasn't until I got a bottle of Crown Me Already! from a legitimate source that my suspicions were confirmed. 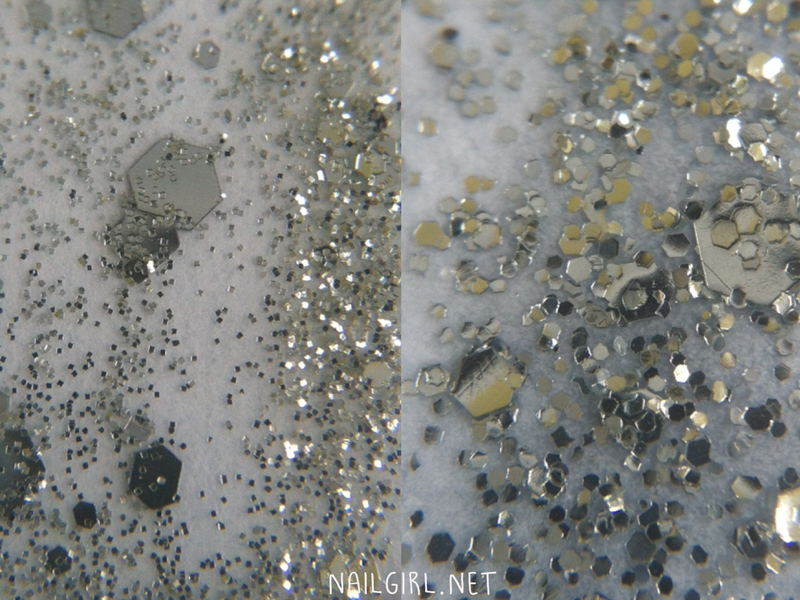 For reference, all the following photos will have the authentic OPI on the left and the fake on the right. In the above photo, you can see that there's a difference in the neck of the bottle where the lid secures onto it. The fake bottle's lid is too close to the bottle. This is also noticeable in the below photo. Firstly, we have the fronts of the bottles to look at. 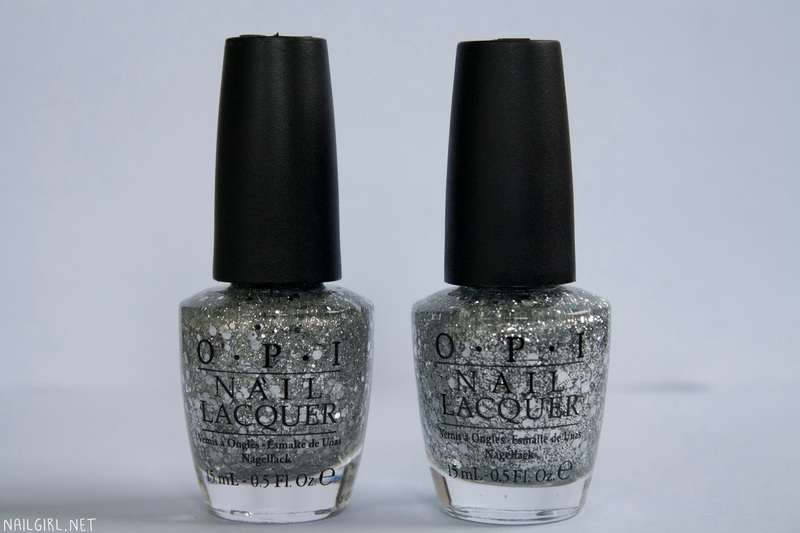 Nothing seems amiss here - the fake OPI labelling certainly looks very similar to the legitimate one. The bottle shape is basically identical, but the label is too high on the fake. The font of "Vernis à Ongles..." differs slightly, but you would probably only notice if you were looking for it. Again, the only difference is in the fonts and the fact that the label on the fake is too high. This is what definitely raised my alarm bells from a whisper to a siren that this could be fake - look how different and WRONG the font of the fake is on the label sticker! 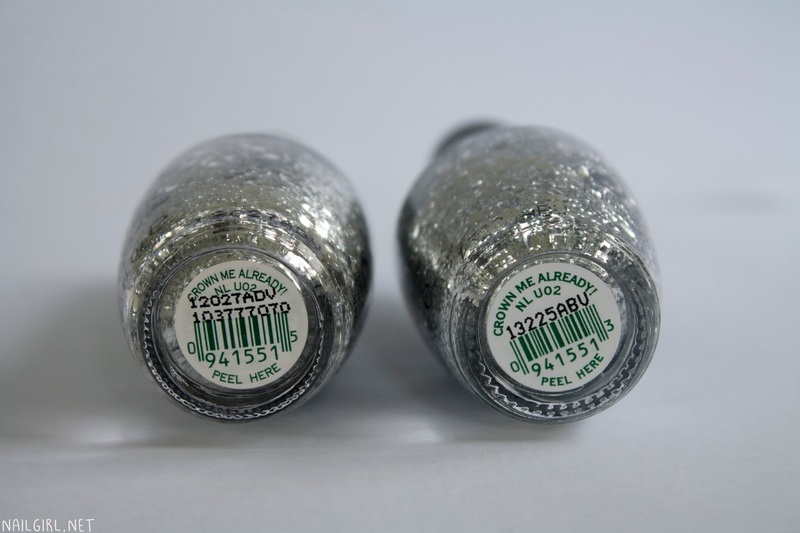 OPI has NOT changed their label sticker font and there is no reason for a nail polish to have a different font used on the sticker than the one shown on the left. Some OPIs do have black labels, meaning they were manufactured pre-2006 - before OPI became 3-free company. And the nail in the fake OPI coffin was the formula. It was just all wrong when I used it - none of the tiny glitter that online swatches promised. Just look at the difference in these two photos. Obviously you can see that the faker has tried to replicate the formula, but thankfully not well enough to pass as Crown Me Already!. Another obvious problem with my bottle was that the lid unscrewed really wonkily and unevenly - definitely not easily like real OPIs do. To sum up, if you have any doubt that an OPI is real, your best chance at figuring out it's authenticity is to look at the sticker on the bottom and the formula. If the formula seems off to you and different from swatches you've seen online (eg. Completely wrong colour, wrong sized glitter) then you likely have a fake. What's disappointing is how good fakes are getting these days - they aren't just labelled with names that don't exist, or are straight up wrongly labelled (such as Pandamonium Pink on a blue polish). This was actually the reason that I didn't end up emailing the seller about this, I was afraid that they wouldn't believe me and accuse me of lying to get my money back. Hot tip: Don't do this! If you believe without a doubt that your OPI (or anything else you purchased!) is fake, be assertive when you confront the person and present evidence if you can, such as photos of it compared to the real thing. I hope this helps in your quest for finding authentic OPI online, or anywhere for that matter. Have you ever unwittingly purchased fake cosmetics? How did it go? Let me know in the comments! Furiously checking all my OPIs now ha! But most of them I got from nail salons so I should be good.. gah. I lucked out. I'm sorry you had a fake one! But thank you for taking the time to notice these differences. I sure wouldn't have.